To provide people living in contemporary society with access to the wisdom found in the religious traditions. Despite the fact that this wisdom is often presented to us embedded in the cultural forms of the past and as such can appear to be difficult to understand. To encourage people to reflect upon the crisis of the forms in which religion is practiced without blaming anything or anyone. Such reflection should be based on the analysis of the way the cultural model has changed during the transition from the agricultural, hierarchical, authoritarian and patriarchal society where the tradition was first created to societies like ours in a state of continual transition. To make clear that there are areas of wisdom and knowledge embedded in the religious traditions of the past which actually go beyond those traditions from which they emerged. These should be seen as part of the treasure of human patrimony and essential to the cultivation of human qualities and as such are pertinent to people of all times including our own. To insist that contact with the great texts and the great masters should be used to stimulate personal growth and discovery through the unveiling of inner wisdom rather than used solely for the sake of erudite investigation. To demonstrate that the profound dimensions expressed in the religious traditions can be cultivated by individuals without adopting the cultural forms of the past. To make a lay spirituality without beliefs possible while at the same time developing an environment of coexistence and respect for those who continue to give validity to the traditional forms of religion. Societies marked by innovation and change face an urgent challenge: how to cultivate human quality within the new cultural dynamic. As it would be unwise to begin from scratch, we must attempt to draw on the heritage of wisdom amassed over the course of human history. 1. What profound human quality consists of, how to cultivate it, and how to avoid mistakes and deviations. 2. How new societies – which sustain themselves through the continual creation of new technosciences – can inherit the wealth of wisdom handed down by our ancestors, bearing in mind that the new culture is constantly changing collective modes of thinking, feeling, acting and organising. 3. Research into major religious texts aimed at identifying two key components: 1) the myths, symbols and rituals they contain as systems for collective cohesion and the organisation of pre-industrial societies and the beliefs they encompass; 2) the wisdom they contain, which we should preserve. 4. In light of this, CETR makes a detailed study of the means proposed by different traditions for the cultivation of this wisdom, which constitutes human quality, and the difficulties this cultivation can pose. 5. To this end, we must also determine the inherent reliability of axiological constructions in order to be able to communicate this wisdom to our peers while also learning to design axiological projects apt for all types of organisations devoted to innovation. New societies need this knowledge, because they know they no longer receive collective projects straight from Heaven, nor do they come dictated by the nature of events. Rather, they must be constructed at a society’s own risk. 6. Furthermore, in terms of education, we study how to encourage children and young adults to cultivate this human quality. These projects are not approached merely theoretically, but also practically, in terms of both personal and collective life under modern cultural conditions. For CETR, the basis of all research is the study of the profound human quality described in different traditions of wisdom. Seminars are thus held on a continual basis on the main texts stemming from these traditions. Readings & Commentaries of the works comprising the rich heritage of human wisdom, with an in-depth look at how they have contributed to the cultivation of human quality. Seminars covering general introductory aspects and particulars relating to an author or tradition. Silence Sessions based on the teachings of different traditions. Film Screenings: projection of a selection of films, accompanied by presentations and discussions. 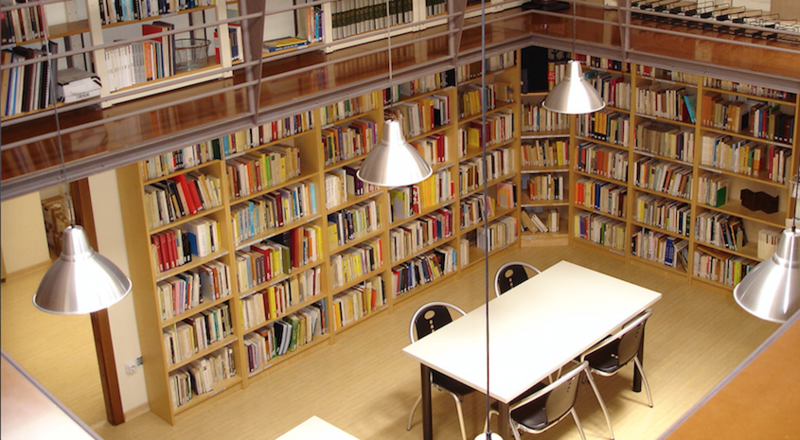 Library: The Centre provides its users and collaborators with open access to its reference library, which specialises in religious fact and traditions of wisdom. 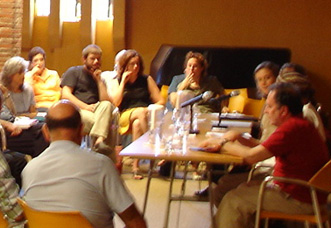 www.cetr.net: In addition to updated information on the Centre’s activities, you will find articles, a selection of texts, online courses and other resources of potential interest. In order to keep yourself up to date, we suggest that you register to receive the monthly Newsletter. Work groups: In addition to the activities included in this calendar, CETR supports the creation of independent study groups as well as activities that foster the cultivation of inner silence, as long as they fall within the scope of the Centre’s objectives.